Awhile back, I read A Spot of Bother by Mark Haddon (an interesting enough book but I liked his The Curious Incident of the Dog in the Night-Time better.) Since then, I notice I’ve been reading more books in a genre that had never appealed to me previously. I can’t explain why these books keep falling into my hands. These are literary or literary-ish explorations of the lives of middle-aged men. Not mid-life crisis age. The protagonists have weathered that. They are past the stage of the affairs or divorces or whatever else happens during that "is this all there is?" panic. These men are in a more contemplative mood and Wham! A different sort of crisis hits. I’m not sure what drew me to Major Pettigrew’s Last Stand by Helen Simonson, but it was a sweet, gentle, satisfying novel that cheered me last year. More recently, I read The Upright Piano Player by David Abbott, beautifully written but depressing. 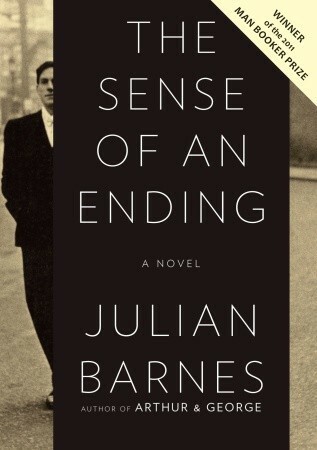 And now, even though I thought I was done with books about old men, I decided to read Julian Barnes’ The Sense of an Ending. Why? For one, it is the winner of the 2011 Man Booker Prize, so it should be good, right? Here’s another reason. When I started my adventure as a blogger and began hopping around to other book blogs a lot, I saw mention of Flaubert’s Parrot (by Julian Barnes) on a blog one day. This book is on my shelf. I read it in college and thought I remembered it. The blogger loved it and so I commented that I did too. Then I saw it mentioned on another blog later with another glowing review. As I read the review it occurred to me that I had no memory of the story. (I had mis-remembered an entirely different book.) But Flaubert’s Parrot is on my bookshelf. So I asked my husband about it. (Could it possibly have been his book?) He said that I had, in fact, read it in college. I’d loved it so much I told him to read it. I found this disturbing, but not all that surprising –my recall for details of novels is terrible. However, now that this book has been brought back to my attention, I see it mentioned with some frequency and the fact that my mind is a blank is driving me nuts. I’ve decided that I have to re-read it. But I’ve been promising myself this for about a year now. I have a hard time re-reading books when I have so much new to read. So... when I saw that Julian Barnes’s new book had won this prestigious prize I thought I’d read it instead. Or maybe first – I’m still determined to re-read Flaubert’s Parrot. But, to make myself feel better, I bought The Sense of An Ending. And here’s what made me read it. I gave up on, or recognized that I needed more time for, the book I’d chosen for my "book I think might be considered a 21st century classic" for the Back-to-the-Classics Challenge. That was The Serf, the Knight and the Historian by Dominique Barthélemy. I chose it because it was so critically well received and is supposed to be representative of 21st century medieval historiography. I suspect it is as important and groundbreaking as the critics say, but I have to read it very, very slowly. Eventually I will finish reading it, but I wouldn’t dare attempt to review it. So I needed another 21st century classic. The chair of the 2011 Man Book Prize said: "Julian Barnes’s The Sense of an Ending has the makings of classic English literature. It is exquisitely written, subtly plotted, and reveals new depths with each reading." So there you go. I’m not going to argue with Stella Rimington. It has the makings of classic English literature and here it is the 21st century! So my challenge is completed. And it’s a marvelous book. I don’t want to include any spoilers, so here’s my rather discombobulated review. Tony Webster is an older gentleman looking back on his life, reevaluating what he thought to be true. He doesn’t relate his whole life story, just the pertinent facts. He’s not a reliable narrator. He knows he’s not. He spends some time ruminating on history and memory, letting the reader know that he is perfectly aware pieces are missing from the story but he’s doing his best to reconstruct it. Once he has presented his past succinctly, we are introduced to the current dilemma. He is then forced to reopen issues from his past and examine them again. You may or may not be surprised by the unfolding of the plot. Tony is a somewhat difficult character. He’s not particularly likeable but I didn’t have the problem of disliking him to put me off the book. His life story is rather ordinary as he presents it. He’s downplaying the plot of his life, perhaps on purpose, but in fact, the details of his life are rather dull. He’s emotionally disconnected from people and doesn’t quite understand why. The great tragedy of his life doesn’t actually even concern his life. He lived his life and, for the most part, missed it. I didn’t care about Tony, but I was interested in him. It wasn’t the plot or the characters. In this short, intense piece of literature, it is entirely the language. Julian Barnes is a masterful writer. The book teems with insight, perfectly phrased. It transcends poor Tony and the broken people around him. It’s a book to savor and (dare I say it?) re-read. But first I have to re-read Flaubert’s Parrot! My challenges for 2011 are done. Thank you to Sarah, Sab, Stephanie, and the team at Historical Tapestry for hosting these fun experiences this year and inspiring me! Next Saturday is take your child to a bookstore day. I can't count the number of hours I spent in bookstores with my kids over the years. I still love to while away time in bookstores whenever we can, even though we tend to get in and out more quickly now that they're older and have more on their plates. And the number of bookstores has definitely dwindled over the past few years. Which makes it all the more important to get out and support bookstores and children's literacy. Celebrate take your child to a bookstore next Saturday by visiting your local indie bookstore or, if that isn't possible, your local big chain bookstore. For more info visit: Take Your Child to a Bookstore. Time's running out. Don't forget to enter my blogoversary giveaway. Click here for details and to sign up to win. I read and enjoyed The Paris Wife by Paula McLain over the summer. It was such a poignant story and so full of famous names and gorgeous places that the whole thing stuck with me. 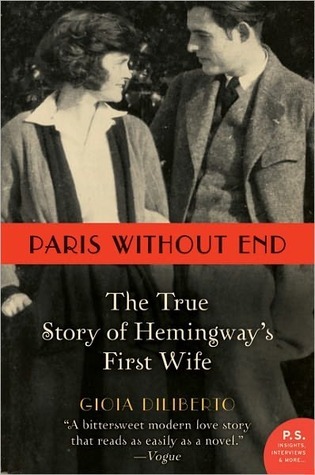 I took notice of a biography of Hadley Hemingway called Paris Without End - The True Story of Hemingway’s First Wife by Gioia Diliberto and decided I wanted to read it, too. Paris Without End is a splendid biography. While reading it, I was struck (looking back) by how closely the novel had followed the story of Hadley’s life. In some ways, I felt the books were so similar I didn’t need to have read both. The biography does have some more detailed information, but some of the interpretation began to get a bit repetitive. And while the story is compelling, it wasn’t as emotionally gripping for me as the novel. Nevertheless, Hadley’s personality is well demonstrated. As far as the famous husband– while his faults are evident, the author balances this with Hadley’s generous and loving explanations for his behavior. She forgives him so I suppose I have to. He’s not a likeable character, but he had his own demons. If you’re interested in Hemingway’s first wife and his Paris years, I can recommend both books. If you prefer nonfiction, try Paris Without End. If you’d rather read a novel, pick up a copy of The Paris Wife. I’ve just finished The Wager by Donna Jo Napoli. Napoli is a rather prolific award-winning writer of children’s and young adult books. I should have read her work before now! 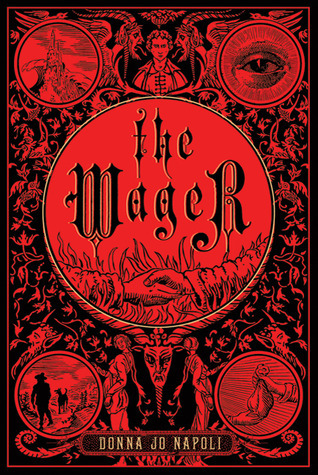 The Wager is a retelling of an old Sicilian fairy tale. Set in Sicily, beginning in 1169, it tells the story of Don Giovanni, a handsome wealthy young gentleman who is, unfortunately, an arrogant wastrel. One night, an earthquake strikes, followed by a tidal wave that washes away everything he owns. His servants abandon him. His castle is essentially repossessed by his creditors. Robbers and worse chase him from his home. He’s too proud to be seen begging where he once was lord, so he makes his way to another city where he can do a peasant’s work to survive. Don Giovanni manages to scrape by while the weather is warm, but come winter time, he slowly starves. This is when the Devil makes his move. He offers a wager. If Don Giovanni will not bathe, change his clothes, or cut his hair for three years, three months, and three days, the Devil will provide him with a purse that will yield unlimited riches. Don Giovanni is not a fool. He knows enough to fear a deal with the Devil. But he’s starving and sees no other way out. He thinks he can manage being dirty if he is rich. He takes the purse. The story then follows Don Giovanni through his years of degradation and redemption. It’s a wonderful tour of twelfth century Sicily. The nitty gritty details of life for the peasantry come across as realistic even if the political/historical details of the time are bent to fit the fairy tale. It’s not meant to be true historical fiction after all. It’s a morality tale. And watching Don Giovanni’s inward transformation for the better while he is outwardly deteriorating does make you root for Don Giovanni to win. Still, I always wonder a little about this wager-with-the-devil genre. The fool who makes the wager always seems to wiggle out somehow at the end. Rather than a warning against betting your soul, the message seems to be go ahead! You’ll suffer, sure, but in the end, you can beat the devil at his own game. Musings about the mixed message of the genre aside, The Wager is a thought-provoking story about the importance of community and what money can and cannot buy. 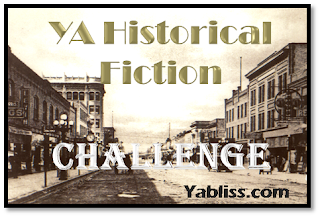 This is my final book for the YA historical fiction challenge. It’s a little more in the fantasy/fairy tale realm than the historical fiction I usually read, but it was a nice change of pace. I’ve now completed three of my four challenges and have just one more book to go for the fourth challenge. Phew! 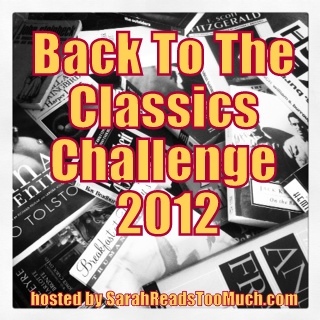 I might make it, but that last book, for the Classics Challenge, is a bear! Hosted by Show My Face, Six Words Saturday is a fun meme where bloggers try to describe their life/week in six words. Click on the link for more details and to join in. Want to play along? All that's necessary to participate is to describe your life (or something) in a phrase using just six words. For more information, try clicking here. Feel free to explain or not explain. Add an image, a video, a song, nothing. I'm going to try not to go overboard on challenges for 2012, because I'm cutting it awfully close with my 2011 challenges. I want to keep them fun and not feel like my reading is being directed by the challenges I signed up for. So many of them sound so fun and so tempting, until I run out of hours in the day. However, this challenge is one that I really need. It's a challenge to read down the pile of books I already own. I'm constantly acquiring books that I want to read. Books that I just have to have. Books that I imagine I'll jump right into. And then they go onto the shelf and sit there for months. Even years. *Once you choose your challenge level, you are locked in for at least that many books. If you find that you're on a mountain-climbing roll and want to tackle a taller mountain, then you are certainly welcome to upgrade. *Challenge runs from January 1 to December 31, 2012. *You may sign up anytime from now until November 30th, 2012. *A blog and reviews are not necessary to participate. If you have a blog, then please post a challenge sign up and link THAT post (not your home page) into the linky at My Reader's Block. Non-bloggers, please leave a comment declaring your challenge level. *A progress site for reviews will go up in January and a link will be posted in the sidebar at My Reader's Block for easy access. I'm going to aim low -- the Pike's Peak challenge because I know I'll be continuing to acquire and read new books in the new year. I can always raise my level if I'm especially good. But if I do manage to clear 12 "old" books off my TBR list, I'll be so proud of myself. 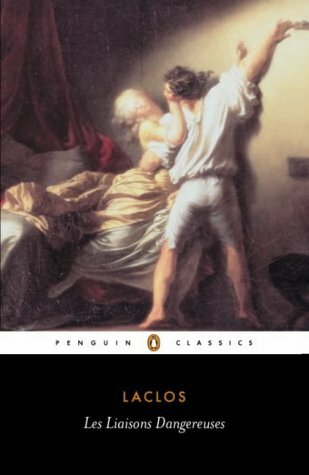 In one of my college French classes, we were assigned Les Liaisons Dangereuses by Choderlos de Laclos. I don’t remember which class it was, or why we were given the English translation to read (although I’m glad I don’t have the French version or I’d never attempt a re-read now!) But I do remember being floored by the book. It was first published in Paris in 1782. From the moment of its publication it was enormously popular. But it was also condemned as corrupt and dangerous. An epistolary novel, the book is introduced by a fictional narrator who claims to be presenting letters extracted from a larger collection. Thus, we can be misled to believe that what we are about to read is true. However a publisher’s note hastens to assure us that they don’t believe it. It’s absurd. The anti-heroes of this tale are the primary letter writers, the Marquise de Merteuil and the Vicomte de Valmont. At one time lovers, they are now friends and allies in a contest of sexual intrigue. Who is better at it? Valmont has seduced and ruined more women than can be counted; however, the Marquise de Merteuil has a more difficult task. She has managed to live a libertine’s life, taking a succession of lovers, while maintaining a spotless reputation. As the story opens, the marquise has asked Valmont to help her with a new and worthwhile project – revenge. She wants him to seduce a young girl named Cecile Volanges, recently removed from the convent to marry the Comte de Gercourt. Gercourt was Madame de Merteuil’s lover but jilted her. She wants to see Gercourt humiliated. Valmont, although generally willing to jump to his old mistress’s command, refuses this time because he is otherwise occupied. He has become obsessed with a young married woman whose virtue is known to be beyond reproach, Madame de Tourvel. He cannot rest until he can have her. He is determined that she fall in love and yield to him willingly. Letters fly back and forth between the plotters as well as among their intended unfortunate victims. The innocent Cecile falls for an almost equally innocent young chevalier, Danceny, and Madame de Merteuil decides he will do just as well to ruin the girl. Mercilessly, Valmont and Madame de Merteuil pursue their goals, ensnaring others along the way, goading each other to additional cruelties. The letter are extremely well written. Each character has a distinctive voice that brings him alive even though we’re just seeing snippets through the letters. The plot moves quickly along. The story is shocking – not so much because of the subject matter -- we read much more graphic material today, but because of the cold-bloodedness of the protagonists. They delight in their own amorality and cruelty. The letters are witty and interesting to read, and when they tease each other you can almost get caught up in their fondness, except for the uncomfortable undercurrent of this is wrong! 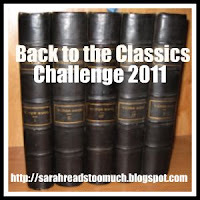 I loved this book in college and I wanted to read it again for the Back to the Classics challenge, (the book to re-read) to see if it would still make such an impression on me. I’m more impressed with the writing this time around than I am swept away by the characters. I think back then I wanted to find some excuse for their behavior, something redeeming about them. Maybe their friendship? This time I just accepted them for what they were. They are horrible people, deserving of their fate. But they can sure write entertaining letters! When you read nonfiction about the crusades, you’ll generally come across a short blurb about "the Children’s Crusade." It was a short-lived and completely doomed expedition, heartbreaking to imagine. Details are sparse because the people involved were so anonymous. Here, for example, is what Judith Bennett has to say about it in Medieval Europe. A Short History (11th edition) – In 1212 a visionary, ill-organized enterprise known as the "Children’s Crusade" ended in tragedy. Thousands of boys and girls flocked into the ports of southern Europe, gripped by religious fervor and convinced (wrongly) that the Mediterranean would dry up so that they could walk to the Holy Land. Some returned home; some were sold into slavery; some died. At any rate, what a horror. And yet, what a setting for a historical novel. Think of the people involved. They were individuals. Real people. Real children. These children and teens set out in a religious fervor (or for other reasons) to reach the Holy Land. Leaving everything behind. And not succeeding. Imagine what inspiring characters fictional they could be. Linda Press Wulf also saw the potential for a remarkable YA historical novel. In Crusade, she follows two teens, Georgette and Robert. Both are extraordinarily bright and devoted to God. Georgette is a peasant, who spent time with the local priest and learned her letters. She is sweet, pious, beautiful, and strong. When the crusading children sweep through her town, led by the charismatic Stephen, she is unable to resist following, even though it’s unclear whether she follows because of God or Stephen. Robert is a brilliant young orphan who has been taken up and taught by the Abbot of Blois. The crusading horde descends upon the abbey in need of a night’s lodging and food. Robert decides that he, too, is called to join the crusade. His motives are also mixed. He can’t understand why a mere shepherd has been given the gift of leadership while he, with all his learning, puts people off. The children march onward. Wulf does a marvelous job of portraying the hardships the young crusaders endure. She shows that children were subject to the same conflicting motivations as crusading adults and risked falling prey to the same errors. Innocence is so easily lost. The book succeeds best, for me, as a story of the crusade. It may be because that’s why I bought the book – that’s what I wanted to read about. There was something a bit predictable and rushed about the aftermath. Even though it was nice to see what happened to Georgette and Robert, I felt the characters were more realistic on crusade. Afterwards it was more of a wrap-up and got a bit preachy. 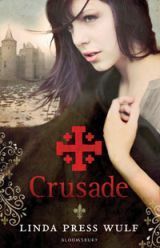 Still, the Children’s Crusade is an exciting and tragic historical episode, and Crusade by Linda Press Wulf does justice to the tale. 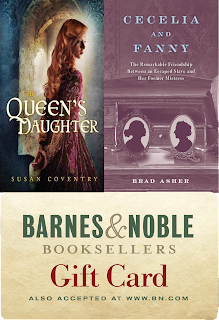 This is my eighth book read for the YA historical fiction challenge hosted by YAbliss. I'm on vacation next week. Hurray! Let's see if I can get my next chapter written. Sarah at Sarah Reads Too Much will be hosting the Back to the Classics Challenge again in 2012. This was a great challenge for me this year. It's one of the most challenging challenges. I still have two books to go -- and I'm determined to get them read. It was a great way to get me to sit down and actually read books that have been on my TBR list for YEARS. I always intended to get around to them. Thanks to Sarah, I finally did. So I'll be signing up again for 2012. Here is an explanation of the challenge. Click on the link above for more details and to join up on the linky link. Challenge runs from January 1, 2012 through December 31, 2012. Books started before January 1st do not count, and all links/reviews/comments for each category must be posted in the correct place by December 31st. Feel free to join in at any time, but the end date is December 31. 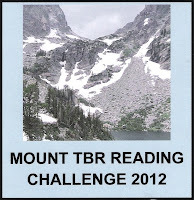 Please feel free to use books in this Challenge toward any other Challenge you may be participating in. However, you must read a different book for each category of this challenge. Audio and e-books are allowed. Please sign up for the Challenge using the linky list (or comment section if you do not have a blog/website). If you would be so kind, please spread the word about this challenge by creating a post on your blog/website and link back to the sign up page at Sarah Reads Too Much. THERE IS A PRIZE THIS YEAR! People who complete the challenge will be entered into a random drawing for $30 worth of books (Book Depository will be used for an International Winner). There may be other prizes as well. Make sure you are following Sarah via GFC, Email, Twitter, or Facebook/Networked Blogs so you are in the know! Read a Classic that has been translated from its original language to your languange - To clarify, if your native language is NOT English, you may read any classic originally written in English that has been translated into your native language. Classic Award Winner - To clarify, the book should be a classic which has won any established literary award. Read a Classic set in a Country that you (realistically speaking) will not visit during your lifetime - To Clarify, this does not have to be a country that you hope to visit either. Countries that no longer exist or have never existed count. There are nine categories for twelve months. Hopefully you will have enough time to finish without stress, or shying away from a longer/more difficult book because of time constraints. You do not need to specify which books you plan on reading ahead of time, unless you'd like to. So, now I have to decide what nine books to choose for next year! Sound like a fun challenge? Join us at Sarah Reads Too Much! Every once in awhile, I can’t help myself. Even though I know it’ll tear me apart, I immerse myself once again in the immortal story of King Arthur’s Camelot. I love the fantasy and the ridiculous chivalry. Each retelling is just a little different. You can choose to see different episodes from different points of view. One author may make one character very noble while another will make him more of a churl and give the nod to his rival. Was Lancelot really the greatest knight or was it Gawaine? (Or Galahad?) And who was the wickeder witch/fairy? Morgause or Morgan Le Fay? How guilty was Guinevere, really? Was she a conniving adulteress or a poor misguided lovestruck pawn? In the end, the variations on the theme don’t matter. I fall into the story and am swept along. I’m always heartbroken as the love triangle plays to its inevitable, wrenching conclusion. I know what’s going to happen and yet, even in this book, EVEN IN THIS ONE!- a well-established classic- I caught myself hoping for something to divert the train from its track to avoid the wreck. 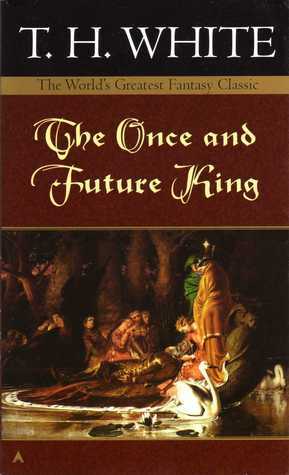 This book was The Once and Future King by T.H. White. Written in parts between 1938 and 1941, it is one of the classic Arthurian tales and is regarded as one of the epic masterpieces of fantasy. I chose it for my YA classic for the Back-to-the-Classics challenge. We can debate whether it qualifies as YA. I’ve had the book sitting on my shelf for well over twenty years but never got around to reading it. Somehow, I thought of it as a book for teens, but that probably wasn’t the original audience. It was written well before YA had carved itself out as a "genre." I do think that there are many things about it that today’s YA fantasy readers would enjoy. The book is divided into four parts. The first is The Sword in the Stone. This part reads almost as a children’s book. It tells of Arthur's (Wart’s) upbringing in the care of Sir Ector. He is tutored by Merlyn who "lives backwards" and teaches Arthur by turning him into animals. Eventually Arthur pulls Excalibur from the stone and thereby claims his rightful place as the next king of England. But things get darker from there. In the next part we meet Queen Margause and her sons, the Orkney Clan. Morgause is an awful woman and a worse mother. Her sons are psychologically damaged by her neglect and ill-usage. We know them as Gawaine, Gaheris, Agravaine, and Gareth. Later, they will become knights of Arthur’s Round Table, but for now, they are sworn enemies of Arthur. The third part is The Ill-Made Knight. Oddly enough, Lancelot is portrayed as an ugly knight, and one who is filled with self-loathing. To combat this, he is determined to live out Arthur’s ideals and become the greatest knight of the Round Table. He wants to be so good he can perform a miracle. He succeeds at this, but he also falls in love with Guinevere. This part of the book chronicles their love affair. (The book is definitely no longer a children’s book.) The knights also search for the Holy Grail. This part is told by the knights returning to Camelot rather than as a series of adventures, so it’s narrated rather than shown. But we’re in nostalgia mode by this time, so it’s an effective way of doing it. And in the fourth part of the book, everything falls apart. It’s been falling apart for awhile, but now, it collapses. Arthur’s splendid Camelot dissolves back into warfare and just about everyone dies. Why doesn’t this story ever change? T.H. White’s version is based on Sir Thomas Malory’s Le Morte d’Arthur. It’s jam-packed with adventures and episodes of established Arthurian lore. White’s interpretation of the stories, often witty, often poignant or thoughtful, and tending to be heavily laced with intentional anachronisms, are what make this an accessible and thought-provoking read. In some respects, it is a little dated. For example, he compares some of the knight to cricket players that must have been contemporaries back in the 1940's. But at other times, the deliberate mixing of past, present, and a vague view of the future work to make this book and its message endure. The story of King Arthur is timeless. I suppose that’s why I can’t get enough of it, even though it breaks my heart every time. There is a hopefulness buried in the smoking ruins. I’ve got two books left to read for this year’s Back-to-the-Classics challenge. And now it’s time to sign up for the 2012 challenge!